On May 8, the anniversary of Victory in Europe (V-E) Day, we launched The American Soldier in World War II, a crowdsourced transcription project featured on the Zooniverse platform. This project is the result of a year-long collaboration between Virginia Tech’s History and Computer Science departments, University Libraries, the National Archives, and Zooniverse, with funding by the NEH. VT History professor Ed Gitre is the PI. Dr. Luther is Co-PI and technical lead of the project, and Crowd Lab Ph.D. candidate Nai-Ching Wang is the lead developer. 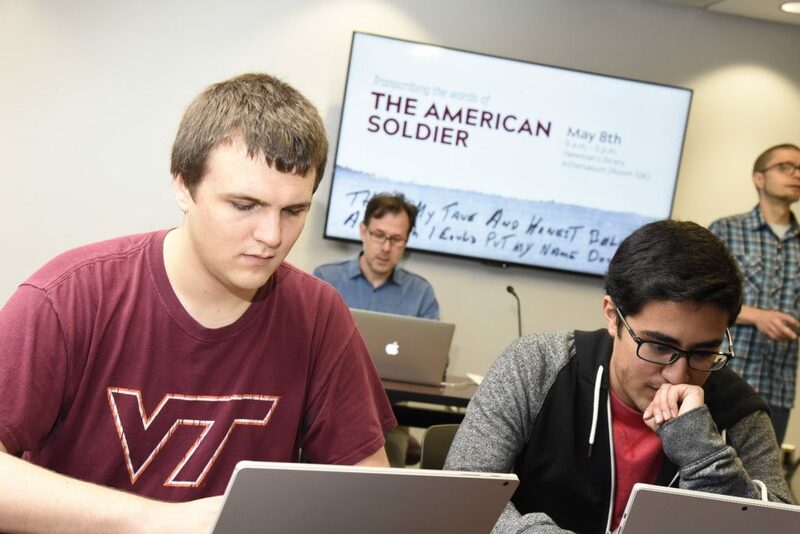 Our launch included a transcribe-a-thon event at multiple physical and online locations and was based in the Athenaeum digital humanities center at VT. In its first 24 hours, the project attracted over 5,000 contributions. More photos of the event are available on VT Department of Computer Science’s Facebook page. Thanks to our many collaborators and transcribers for making the event a success!